Home | News | Blessed to be a blessing at Bluewell UMC! Blessed to be a blessing at Bluewell UMC! What an amazing time the church shared at Bluewell United Methodist Church (Southern District), Sunday, September 30, 2018. Feeling called to reach out to their community in a new way, BUMC has held various events that engage their neighbors this summer and into fall. Sunday was “Bring A Friend to Church” day with a Block party immediately following the service. 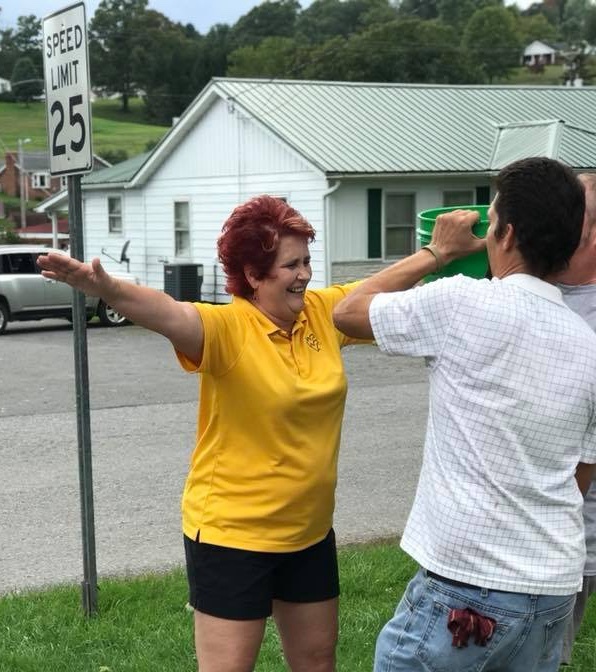 Pastor Melissa White encouraged the members of the church by promising that they could dump a 5 gallon bucket of water over her head if they could get 150 people in attendance. It’s been years since the church has had that many at church.